This quick dessert is perfect for a treat without the temptation of making an entire cake or slice. I love the combination of raspberries with chocolate. A great idea is to put all the dry ingredients into snack size zip lock bags so when you want one you just add water. butter & fruit. 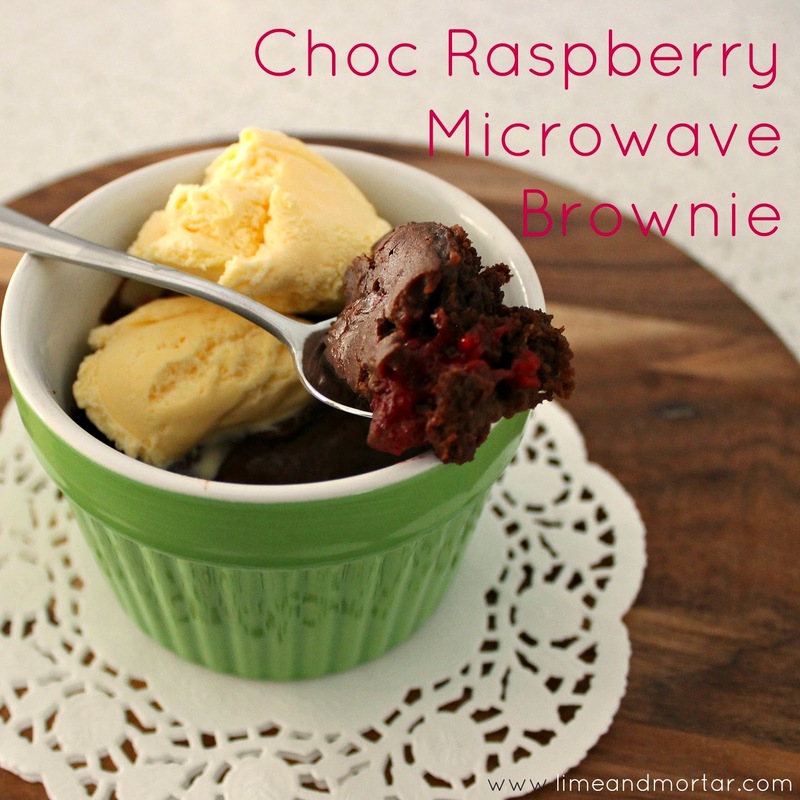 5) Allow to slightly cool then add ice cream and enjoy warm! 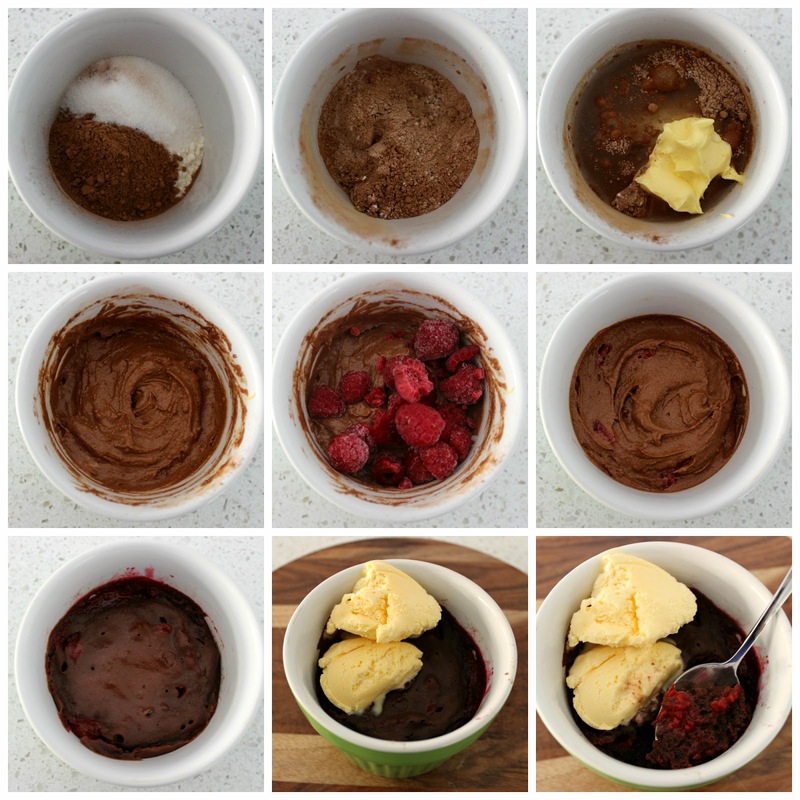 TIPS: You could leave out the raspberries if you prefer and try add ins such as coconut, nuts, peppermint crisp, chocolate melts and more. This looks too easy and a too dangerous! I'm totally going to ziploc those ingredients so I can "bake" brownies at a moment's notice! Watch this space! Wowser, this is PERFECT!! Chocolate and raspberry is my favourite combo. I can't wait to give this a try. 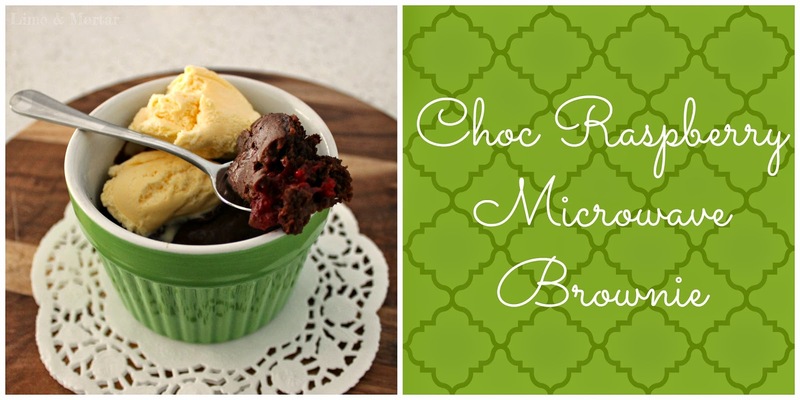 I really need to try these cake in a mug ideas.I'm going to leave this open so I remember to make it tonight for hubby and I after the kids go to bed.